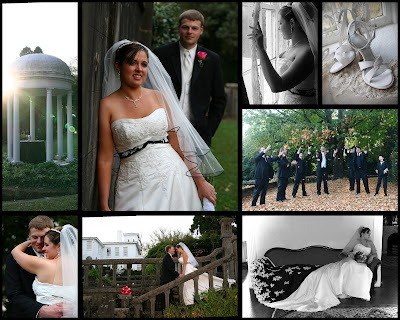 Jennifer and Aaron were married at The Historic Bleak House in Knoxville. The setting is absolutely gorgeous and the weather cooperated so nicely that day. They did not see each other before the ceremony. It was a pretty emotional day for some family. It was a full house and everything went off as planned and Jennifer and Aaron were both so calm and relaxed... At least it looked that way.